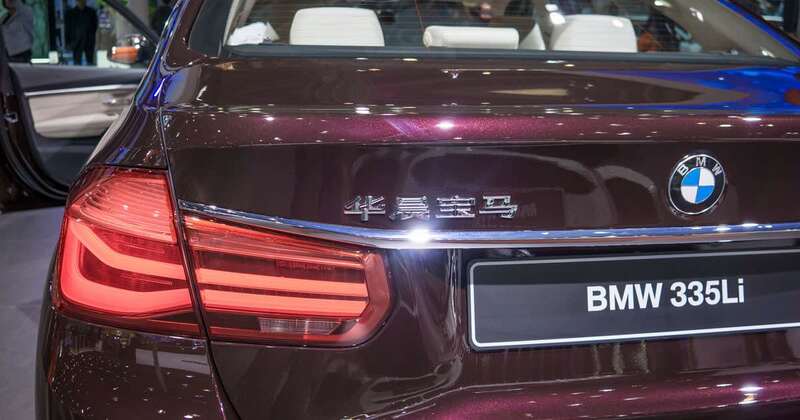 China is the largest market for most carmakers, which is why there’s a trend for long-wheelbase versions of even not-very-long cars at the Beijing motor show. So BMW is not the only company, unveiling long-wheelbase versions of a car. There’s Mercedes, Audi, Jaguar, Cadillac, and a few more, stretching their cars, too. There’s a Audi A4L, a Mercedes E-Class L, a BMW 3 Series L, and the new BMW X1 L.
And if you think, it does not make any sense … Well, than you are terribly wrong. See, in China, to be chauffeured is the height of good taste. If you’ve got your own driver, you’ve officially made it. This is Luxury, with Beijing style.